. The 1,450 crore initial public offer (IPO) of Cochin Shipyard got an overwhelming response from investors. Cochin Shipyard IPO was oversubscribed 76.19 times. Cochin Shipyard, India's largest state-owned ship maker, made a strong debut on the bourses today with its shares rising as much as 21 per cent to an intraday high of Rs 522 on Bombay Stock Exchange (BSE), against its issue price of Rs 432. The Rs 1,450 crore initial public offer (IPO) of Cochin Shipyard got an overwhelming response from investors. It was oversubscribed 76.19 times, receiving bids for 258.9 crore shares against the 3.39 crore shares on offer. The non-institutional investor's category saw a subscription of 289 times. Analysts say, the strong response to Cochin Shipyard's IPO was due to its attractive valuation and profit track record. Cochin Shipyard reported a net profit of Rs 312 crore on revenues of Rs. 2,059 crore in FY17. Its revenue and net profit has grown at a CAGR of 11 per cent and 19 per cent over FY2007-FY2017. Meanwhile, its operating margin has expanded from 7.9 per cent in FY2007 to 18.4 per cent in FY2017. "Considering the past financial performance of CSL (Cochin Shipyard) and strong visibility on future growth, we rate this as SUBSCRIBE," Angel Broking had said in its IPO note. Cochin Shipyard has an order book of Rs. 3,078 crore, which is 1.5 times its FY2017 revenue. Out of the total order book, 80 per cent is from defence sector and 20 per cent is from non-defence sector. 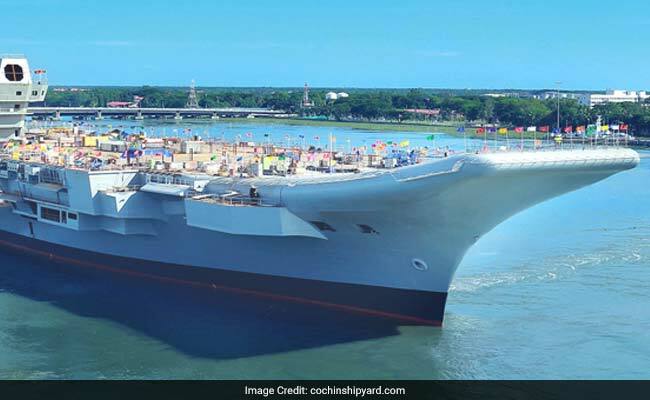 However, analysts say that Cochin Shipyard's high dependence on defence sector and cyclical nature of commercial ship-building is a key risk in the business of Cochin Shipyard. Cochin Shipyard shares closed 21 per cent higher at Rs 522 on the Bombay Stock Exchange.